Go to ‘Settings’ (for Android users, you will find it after pressing the Menu button in the top-right corner; for iPhone users, you will find the ‘Settings’ button in the bottom-right corner). All three of these things have options for who can see them. 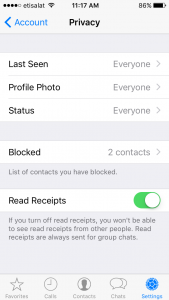 Note that the default settings on your WhatsApp are set to ‘Everyone.’ This means that anyone can see your information, including people you don’t know. See the iPhone example in the screenshot below. We recommend that you set all three of these settings to either ‘My Contacts’ or ‘Nobody.’ That way, online strangers won’t see your personal information. 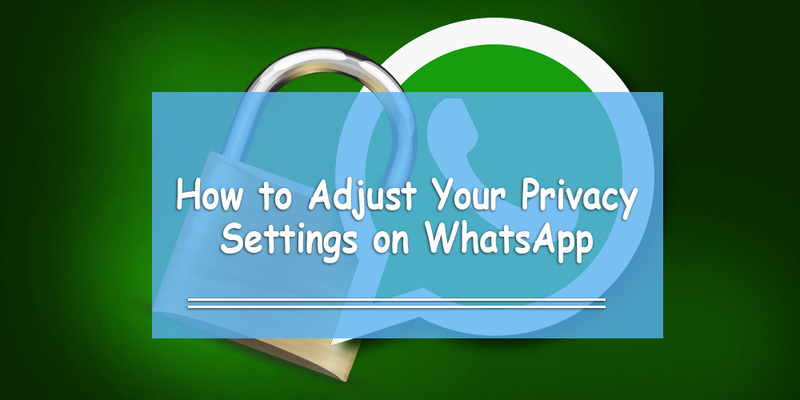 Below, you’ll find an example of how your WhatsApp privacy settings should be set on Android. It’s very important to know how to keep your information private on WhatsApp, for a number of reasons. As you can see in your WhatsApp privacy settings, people can see the information WhatsApp allows you to provide, including your profile photo and your status. If you change your status regularly, it’s very important that you only let your contacts know. If your information is kept public, others might know what you are doing and might use that information for malicious purposes. So, if you use this app frequently, make sure you adjust your WhatsApp privacy settings right now to prevent online predators and cyber bullies from trying to find you. Let’s see if we can fix the problem. So, when you press privacy, you won’t see the screenshot above? If it still doesn’t work, tell us where you pressed on your phone. I was trying to change my settings specifically so Facebook could not access my phone #. I do not see anyplace to do this now. Did you face this issue while registering for Facebook? How can I not show I’m online on iPhone? If I then go to Chats and press New Group, some names from my contact list come up. QUERY: can these people see my chats, pics etc? ?